A kid on America's Got Talent went full Jim Halpert for his totally awesome teapot promposal. If you're a fan of The Office, you will surely remember that tear jerking moment Jim busted out the teapot filled with all those inside jokes and handed it to Pam. Game recognize game, because the real Jim Halpert even gave a shout out to the youngster and his smooth The Office delivery. The internet loves "Prom Cat" so much, they photoshopped them! 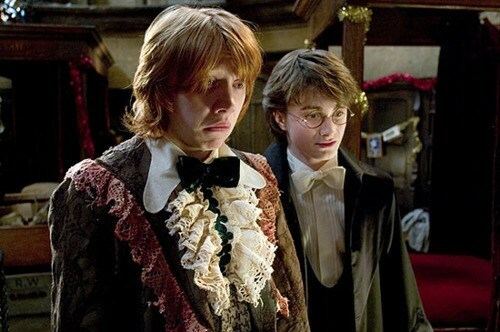 Maybe He's Just Getting Ready for the Yule Ball? Four teenage boys in Milton, Georgia were arrested by police and found in possession of a stolen goat. One of them explained that he was planning on photographing the goat so that he could use the image as a prop when asking a girl, "Would you goat with me to prom?" according to police.